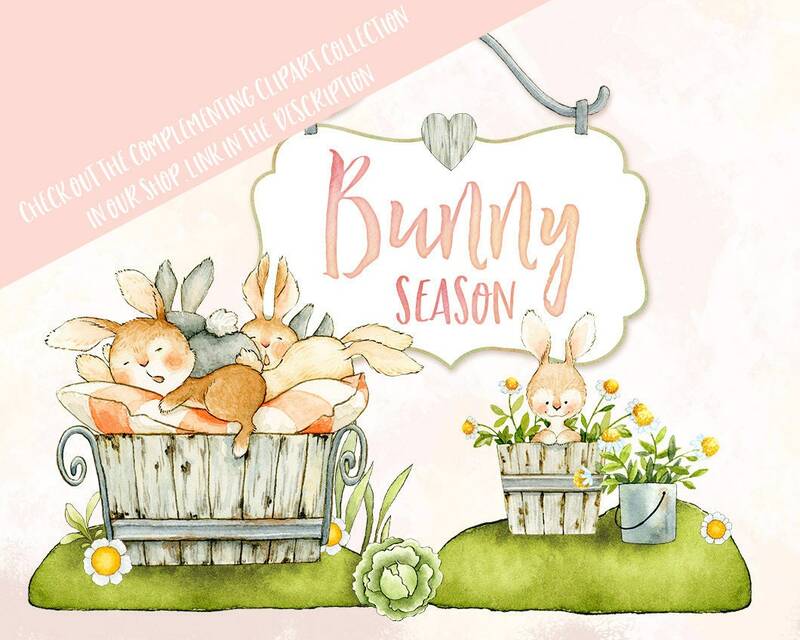 Watercolor digital papers and seamless patterns with shabby chic ornaments and garden vegetables. 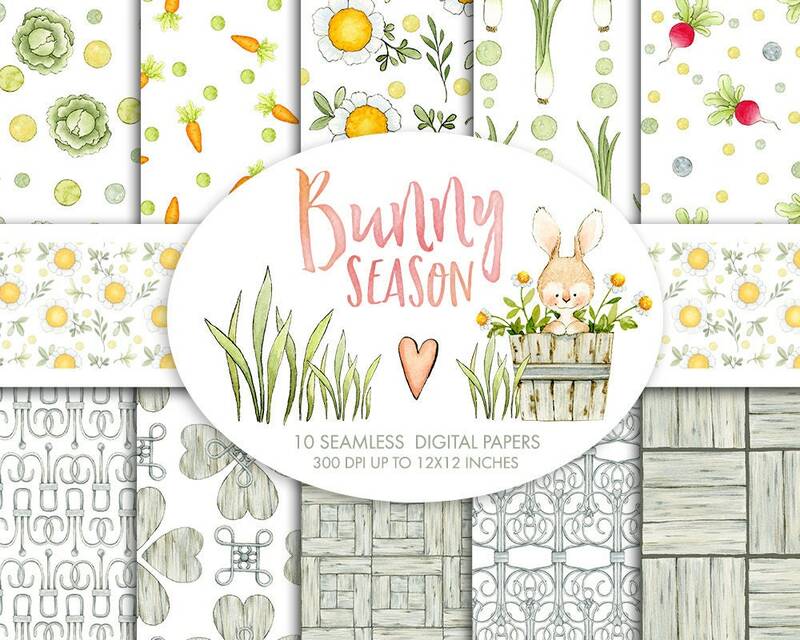 These digital papers are perfect for designing baby and kids stationery, kitchen textiles, scrapbooking, card making, Easter designs and more. Papers are mostly 3600x3600 px (12x12 inches) except for few that repeat to a bit smaller dimensions. 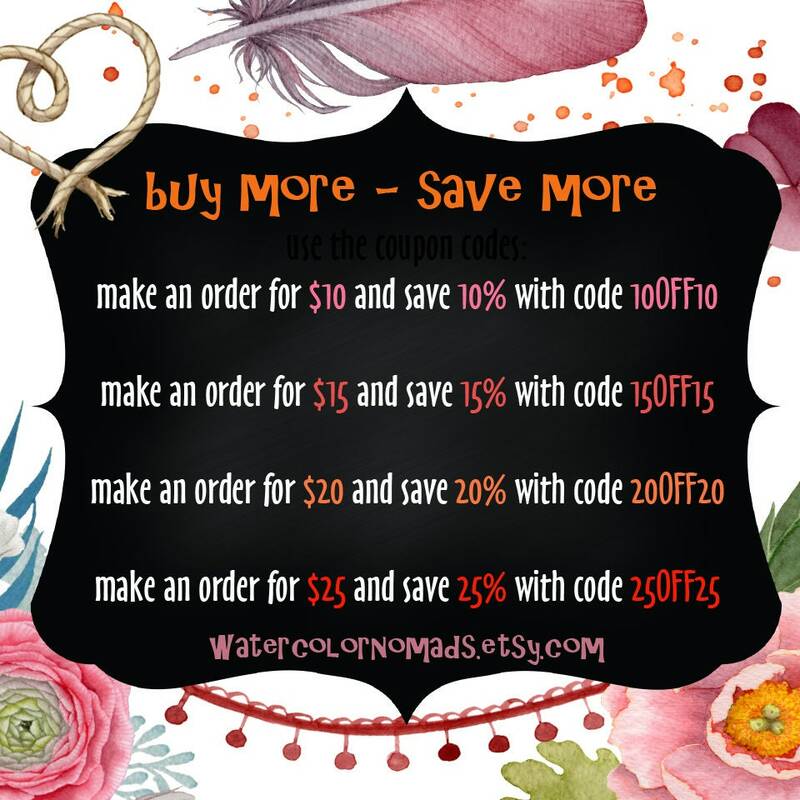 All files are JPG and each digital paper comes with it's Master Tile, so you can tile to your own size requirements. For licensing terms, please check the shop policies. Love the flowers and carrots and radishes... thank you! Really cute clipart! Thank you! Yes, it will be beautiful for my classroom works!!! Many thanks!